The Factory Ministries | Thank you to Weis Markets for their generous gift to The Factory Ministries! We are so grateful for the support of our community. Thank you to Weis Markets for their generous gift to The Factory Ministries! We are so grateful for the support of our community. 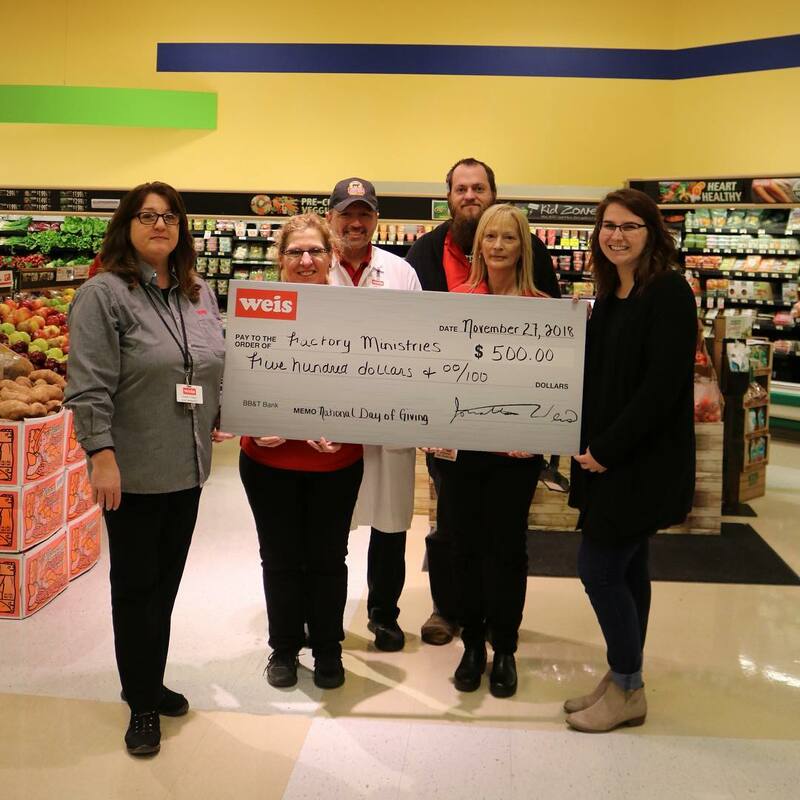 Home > Thank you to Weis Markets for their generous gift to The Factory Ministries! We are so grateful for the support of our community.